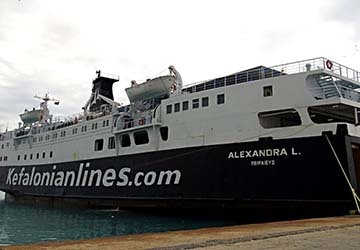 Serving as a bridge between the Greek mainland and the beautiful Ionian Islands, the ferry operator was founded in 2013, offering quick sailings up to four times a day, usually lasting around an hour. 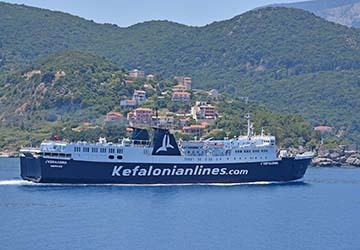 Having recently revamped its flagship, F/B Nissos Kefalonia, the company continues to strive for a high-quality service for Kefalonians, with the vision of soon becoming the market leader of ferry travel to and from the island. F/B Nissos Kefalonia, lauded the most popular ship in Kefalonia, spans a hundred and twenty three metres long, cruising at speeds of twenty one knots. The on-board shops have a wide range of products, while an impressive selection of local snacks and cuisine can be enjoyed in the numerous restaurants and bars. F/B Zakynthos I, although slightly smaller, has a longstanding history with the region, helping the tourism industry flourish when the ship was introduced into the market in 1991. With directferries.co.uk you can find Kefalonian Lines timetables, fares and book Kefalonian Lines ferry tickets. Where applicable we’ll also compare Kefalonian Lines with alternative ferry companies.